Founded in 1829, King’s College School Wimbledon is one of the leading academic schools in the UK. 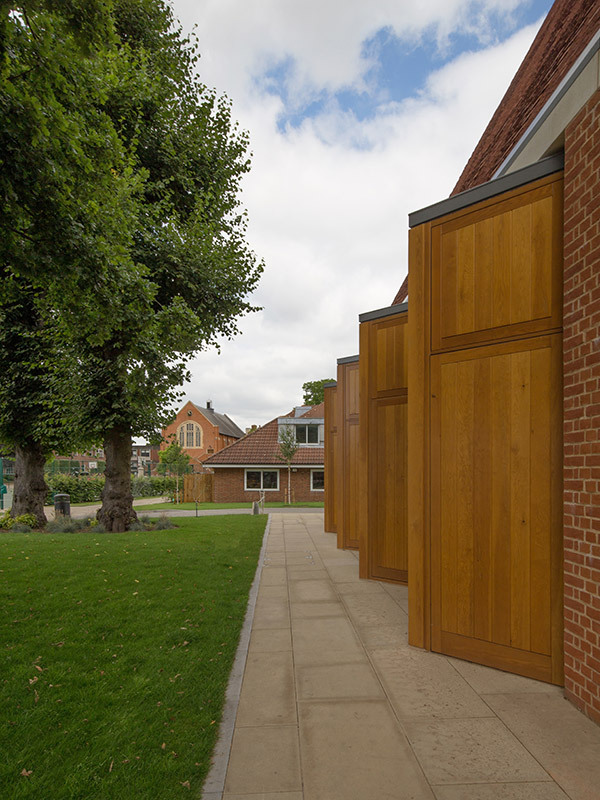 Emphasising the position music occupies in the life of pupils, the school have built a New Music School building incorporating performance spaces, practice rooms and office areas for the school’s music department. 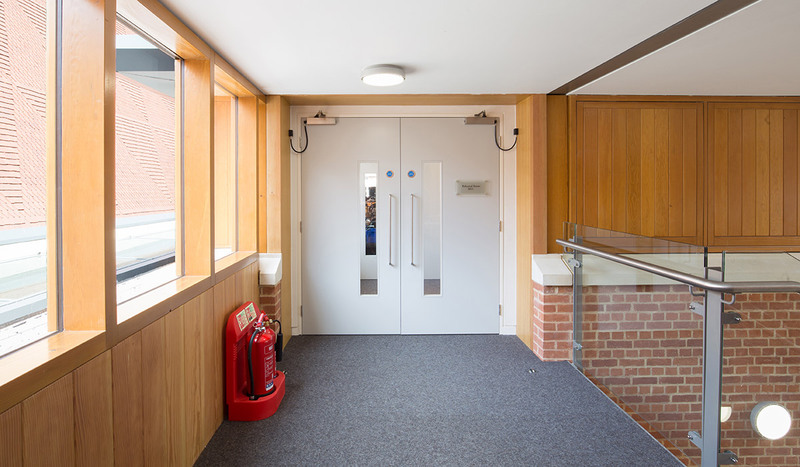 Designed by Hopkins Architects, the New Music School is made up of 3 distinct parts linked by a L shape foyer. 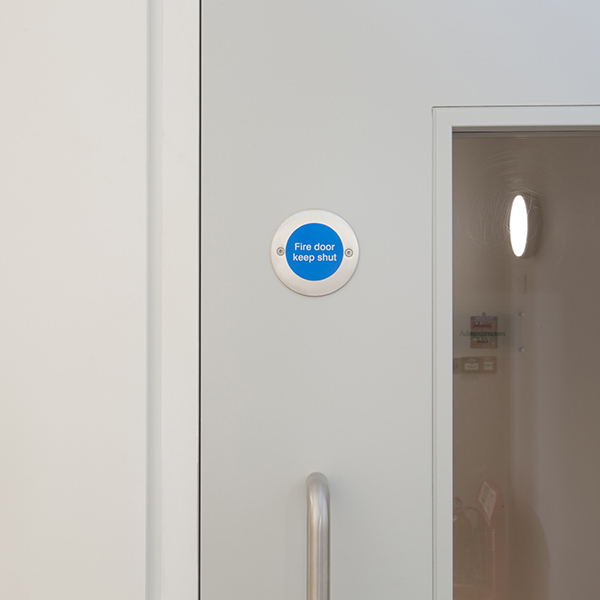 The basement level comprises loud practice rooms for instruments such as percussion, drums and brass. 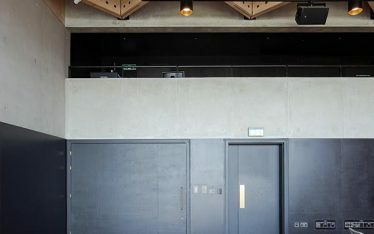 The ground floor is home to a triple-height auditorium which can accommodate a 70-piece orchestra with 200 seats. Finally, the top floor consists of an orchestra rehearsal room, additional practice spaces, specialist classrooms and the porters’ residence. 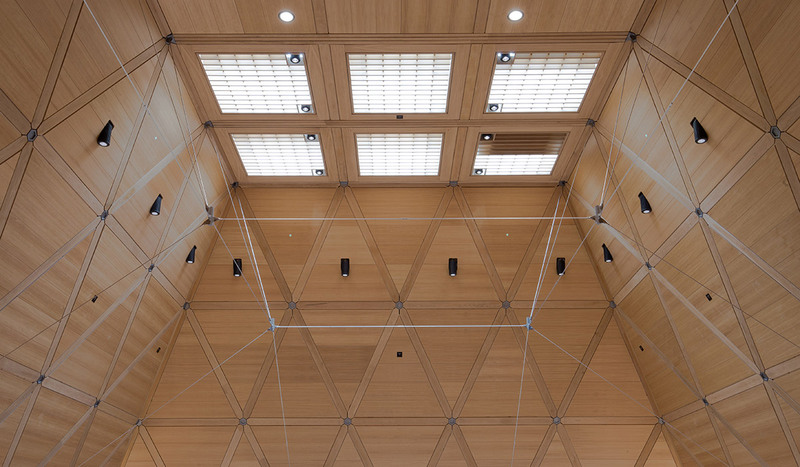 Both the concert hall and rehearsal room have specially-designed American white oak-lined ceilings, which create a wonderful acoustic and reveal the exposed triangulated structure of the building. 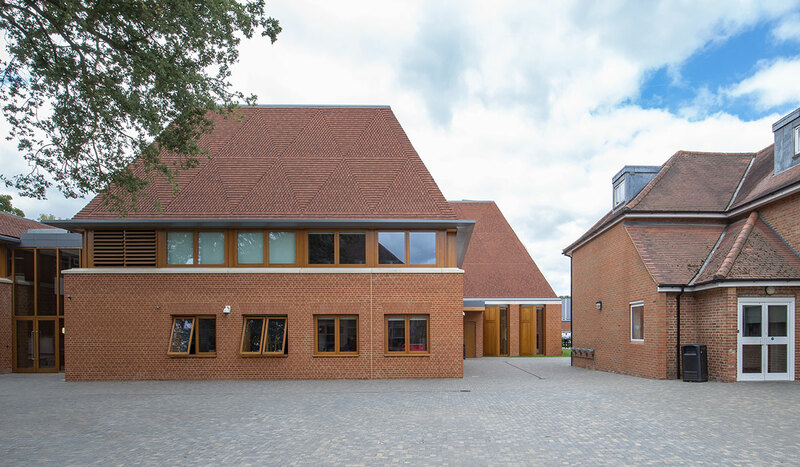 To match the context of the school, in particular the Great Hall, the external walls are constructed from handmade brick, and the roof from handmade clay roof tiles. 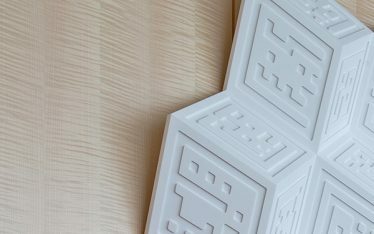 It was vitally important that the building has excellent acoustic conditions throughout. 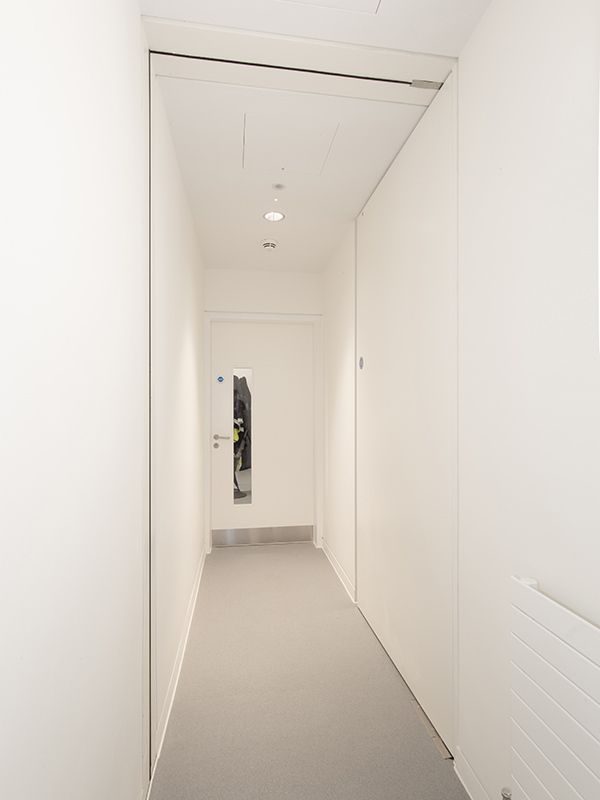 Shadbolt were asked to help minimise acoustic leakage on the doors. 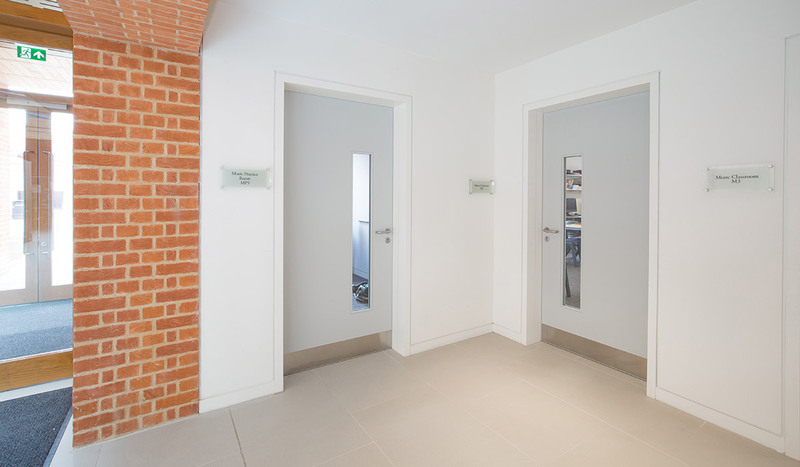 40dB acoustic performance FSC certified doors and framesets were manufactured and supplied in RAL 9010 and RAL 7035 lacquered paint. 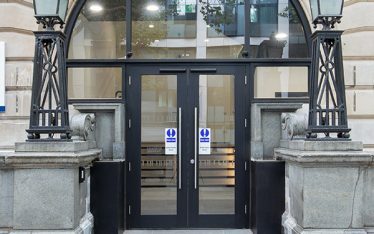 In addition, matching FD30 and FD60 fire performance doors and doorsets were also manufactured and supplied.